Now that's what I call a brush-gun! This tree was behind a target stand at 100 yards. 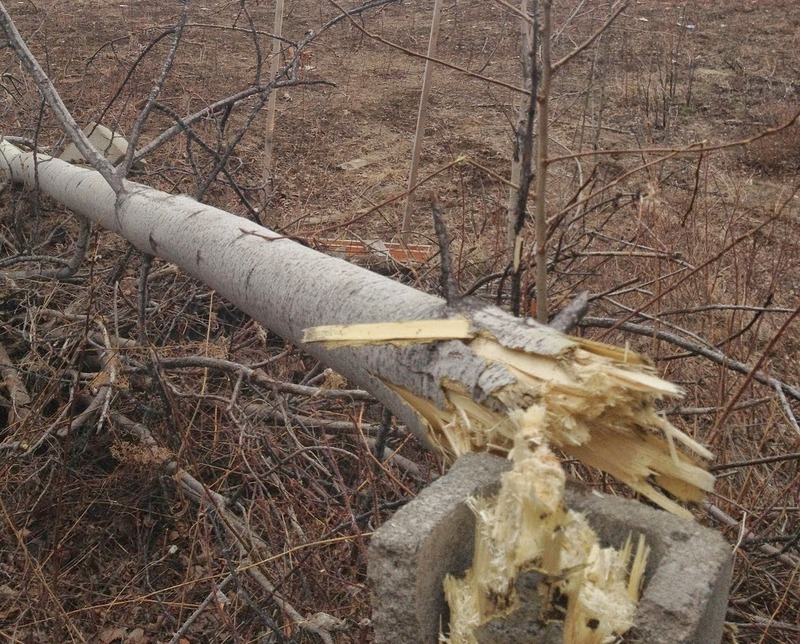 The tree turned into an unintentional casualty as my friend and I were clocking 45-70 handloads with the CED M2. I placed part of a broken concrete block around the trunk afterwards to give an idea of scale and to better profile the stepped "wound channels" in this photo. The photo is taken from behind the tree looking towards the bench. Turning around and looking the other way, it was clear those bullets just kept on truckin', taking more pieces of tree as they went. Impressive! These were some shoulder-bruising 525gr cast Pile-Drivers from Beartooth Bullets. They were fired out of a Marlin 1895 SBL, which is just a fantastic and reliable lever-action carbine. 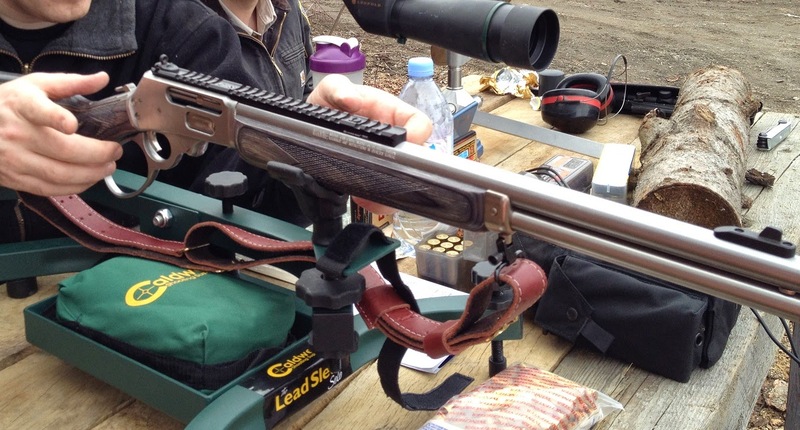 I was specifically thinking of this gun and others when I mentioned more practical alternatives to the Ruger Gunsite Scout the other week. Sure, bullet expansion is nil on these bullets, but this is more of an end-to-end solution. I can't avoid getting trigger-shy shooting these loads. We minimized this by using a Caldwell Lead Sled Solo to lessen felt recoil, and we also mixed in bouts of dry-firing to calm the subconscious reflexes associated with the trigger break. 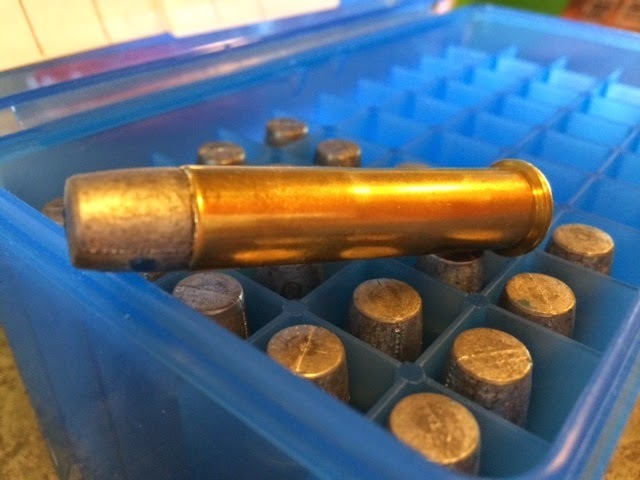 For the curious - these rounds used new Remington brass and CCI 250 primers, starting with 40 grains of Reloader 7, working up in 1 grain increments maxing out at 44 grains.